Mo is based in Plymouth, at Hand in Hand Tattoo, and we are happy to have Mo as one of our regular Guest Artists here at Atelier Four. He will next be visiting on the 19th-20th April! He specialises in European/American Traditional Tattoos. 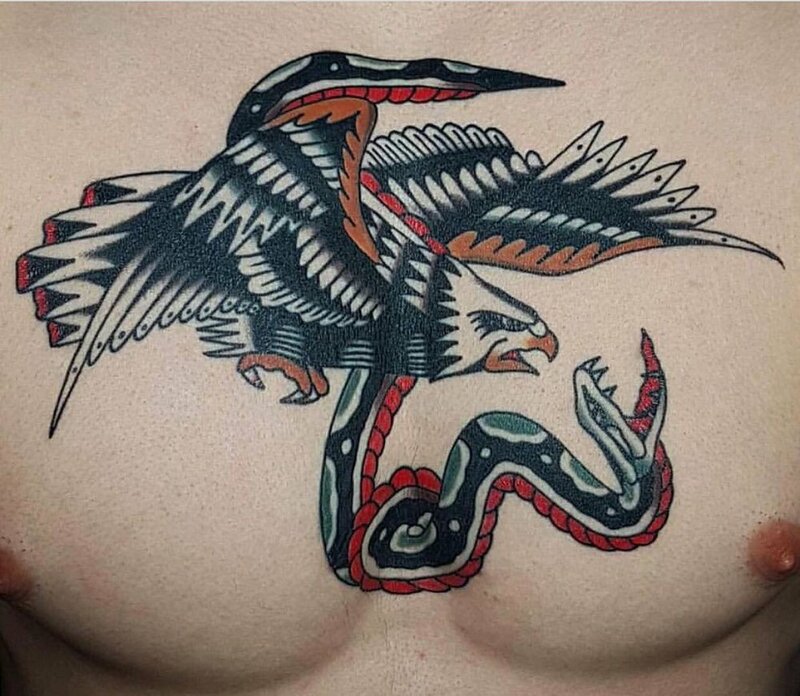 This refined bold , bright traditional colour palette inspired by the iconic Sailor Jerry. 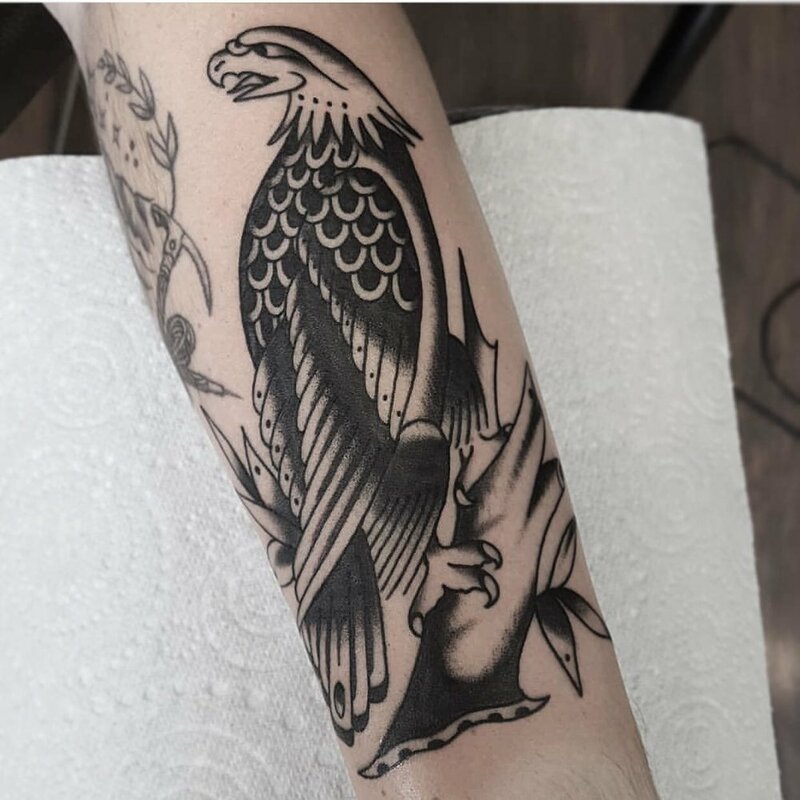 After completing a years Apprenticeship at Guy Lee Tattoo in Malta in 2015 , Mo has focused on travelling and experiencing the trade through Guest Spots across the UK. At renowned Studios such as 'Painted Lady' -Birmingham, 'Skins & Needles' -Middlesbrough and 'Dust N Bones'-Plymouth. He has also attended the Portsmouth Tattoo Convention. All of Mo’s designs are hand painted as beautiful flash sheets with many unique designs to choose from. For appointments with Mo please use our Enquiry Form.